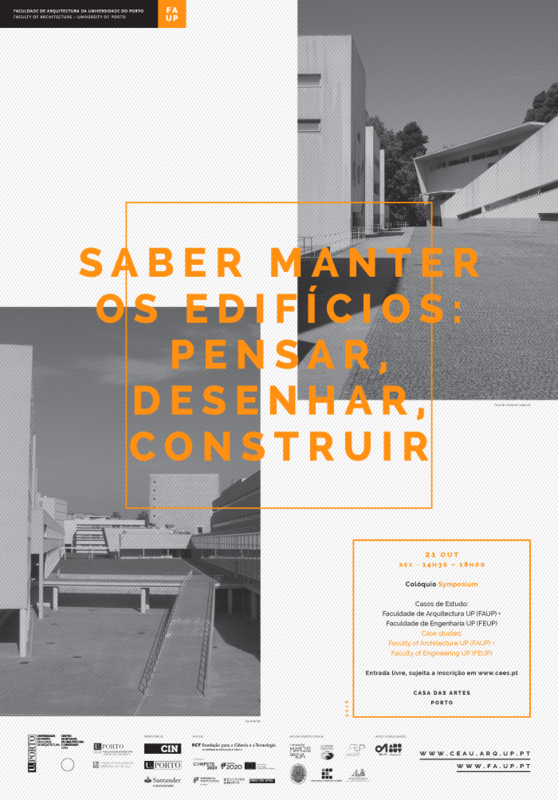 The Centre for Studies in Architecture and Urbanism (CEAU-FAUP) and the Centre of Studies of Buildings in Service (CEES, FEUP) co-organise the Seminar "Saber Manter os Edifícios: Pensar, Desenhar, Construir", that will take place on October 21, 2:30-6:00 pm, at Casa das Artes (Ruben A Street, n.º 210, Porto). Free admission, prior registration is required. More information will be soon available.